Your air conditioner could break down at almost time and for nearly any reason, and if it happens during the peak temperatures of the summer months in Wichita, it could be a serious health and safety concern for you and your family. Your air conditioner most likely will break down when it's being used most frequently, and that's when the temperatures are at their hottest of the year. When outdoor temperatures are extremely hot, keeping your home cool is more than just a matter of comfort—problems with your AC can be a dangerous situation. If your air conditioner ever stops working unexpectedly, the professionals Ball Heating & Air Conditioning are available for prompt and professional emergency repairs. We know that you can't always wait for a scheduled appointment, and sometimes you can't even wait for regular business hours to resume, so we're ready and eager to tackle the job 24/7. Our professional heating and air conditioning contractors are always available to ensure that your AC is fully efficient and functional. When you have any problem with your Wichita home's air conditioning system, you need prompt and professional service. Our professional heating and cooling contractors will always provide you with both. When you request service from us, we'll be on the job as soon as possible, and we'll make sure that you receive the highest quality workmanship possible. We know these repairs are urgent, so we'll work quickly, but we'll never let speed get in the way of quality workmanship. All of our heating and cooling technicians are licensed, trained, and experienced. We'll be able to ensure that you're receiving excellent work no matter when you need it. We'll quickly and accurately diagnose and repair any problems you have with your Wichita home's AC, and we'll make sure those problems are thoroughly resolved. Any time, day or night, you can depend on us to make sure that your cooling system is in the best shape possible. The best way to ensure that you never need emergency air conditioning repairs is to have the unit maintained regularly. Our professionals offer regular maintenance services to help you keep you AC in the best condition possible at all times and to take care of any problems that it may be having before they develop into emergencies. However, any time an emergency situation comes up unexpectedly, you can count on our professional air conditioning contractors to make sure that your Wichita home is kept cool and comfortable. Contact us now for preventative maintenance services, and never hesitate to call if you find yourself in an emergency situation. 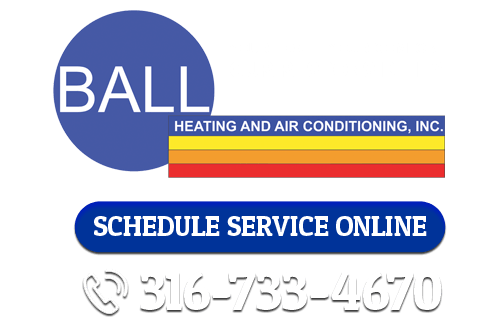 If you're looking for emergency air conditioning services in Wichita, call Ball Heating & Air Conditioning at 316-733-4670, or fill out our online request form.